In 1995 the International Herb Association started naming a Herb of the Year. 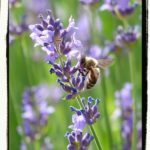 This practice brings focus each year to a particular herb so herb enthusiasts, groups and gardeners can learn more about an individual herb. 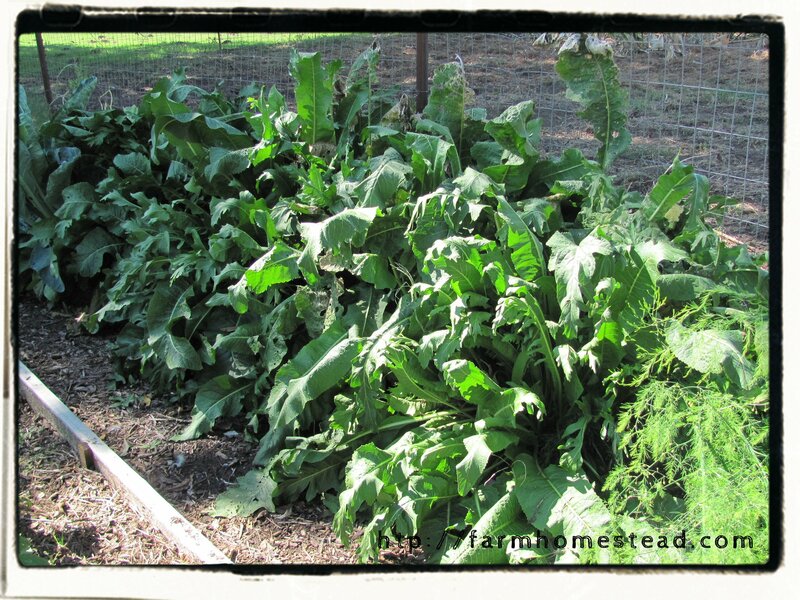 This year, 2011, Horseradish, Armoracia rusticana, is the herb of the year. So, let’s explore this pungent, powerful herb. Want to clear you sinuses? Prevent scurvy? Bring tears to your eyes? Then Horseradish is the herb for you! 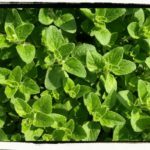 Botanical Info: Considered a bitter herb, helping digestion and appetite. Family: Brassicaceae- related to mustard, broccoli, cauliflower, cabbage, kale, and Brussels sprouts. Horseradish is a root crop that is thought to be native to Northern or Central Europe. It is known almost world wide now. It is in the Brassicaceae Family- the same family as broccoli, cabbage, kale and other related vegetables. It is grown for its pungent roots, although the young leaves can be eaten as well. It is a slender, tapered root, white or beige in color with a thin skin. Horseradish root. Notice small side roots. The name, Horseradish, seems to have come in a round about way. In German, the plant is called “meerrettich”, sea radish, since it grows well in coastal areas. It is thought the English misinterpreted the word “meer” thinking it referred to a mare or female horse and called the plant “mare radish”. Then, that name was adulterated into “horse”, hence the name Horseradish. In England until the 1600’s, Horseradish was only used medicinally although they did note that the Germans used it as a condiment. By the 1600’s, however, Horseradish had found its way into the diet of country folk and laborers, as it was thought it was “too strong for tender and gentle stomachs.” By the late 1600’s, however, it was in common use for all. Roast Beef and Oysters, especially, were routinely accompanied by Horseradish. Horseradish made its way to America with the earliest European settlers. It was common in the northeast by 1806 or so and escaped from gardens into the wild. By the 1850’s commercial production began in the midwest due to the fertile alluvial soil on the Illinois side of the Mississippi River and continues today. 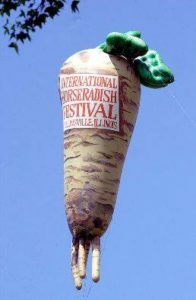 There’s even an International Horseradish Festival on the first weekend in June in Collinsville, Illinois, the Horseradish Capitol of the World! Horseradish is not found in home gardens in the US as much as it used to be. The fact that once established, it’s difficult to eradicate, somewhat like Comfrey, may be one reason. A small piece of root will grow a whole new plant. Another reason must be the easy availability of numerous commercially prepared products. Horseradish aficionados will tell you, though, commercially prepared Horseradish is no match for home made. It likes deep, fertile, well-drained soil that is also able to hold moisture. It can grow in full sun to part shade. The leafy part of the plant reaches to about 3 feet high and wide. It is hardy to Zone 5. 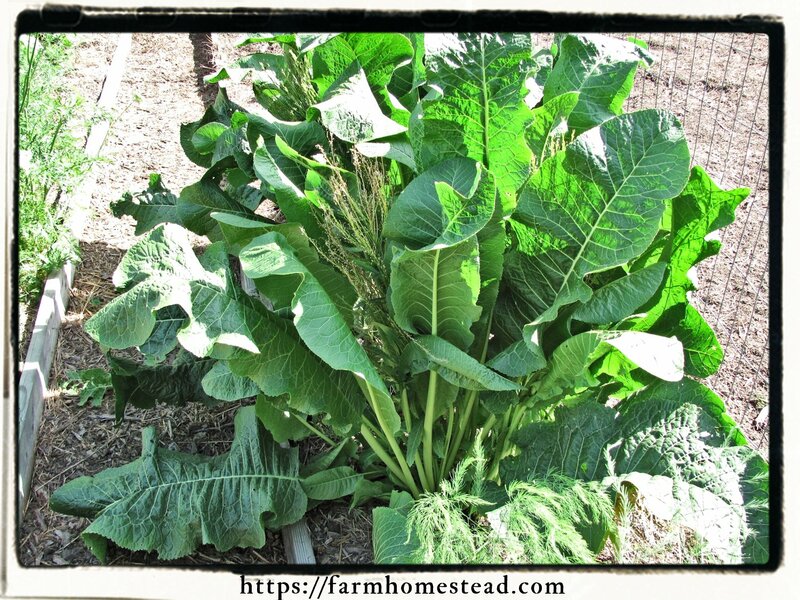 If your soil is very dense, grow your Horseradish in a large container. It works great that way, and it won’t invade your growing area. 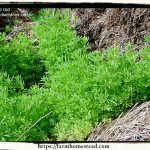 Even though the plant is a perennial, it is usually treated as an annual, with the roots dug in late Fall or early Spring. Planting is done in early Spring as soon as the soil can be worked. Fertile soil makes the best roots, so organic amendments are dug into the soil before planting. If you’re already growing your own, use the narrow, pencil-thin side roots as planting stock for the following season. Home gardeners can dig the roots as they need them, so long as the soil isn’t frozen, of course. horseradish is a beautiful plant, but careful where you plant it! It is invasive. If your soil freezes hard, dig the roots in the Fall and store them in plastic bags in the refrigerator or make it into condiment right away. 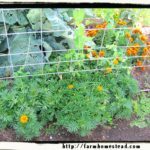 Save the small side shoots to plant in the Spring. They are best stored in an area with high humidity to keep them from drying out. With the roots in a plastic bag, a root cellar or the refrigerator is fine. Storing in damp sand is another way to keep them. Watch the roots for soft spots and cut out bad spots or remove any roots that go soft, for that will cause the whole root to eventually rot. For good root production, Horseradish needs a long growing season. 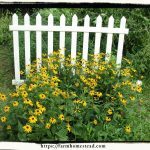 Planted in early Spring where Winters are cold, the leafy growth happens during the warm Summer months with adequate moisture. Most of the root growth happens in the cool weather of early Fall after the tops are established. Therefore, Horseradish is generally thought of as a crop for the Northern areas of the US. In the Southern US and other areas where the weather is mild, high elevation will help the crop. 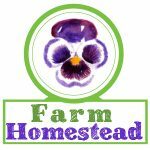 And, in the southern parts of Texas and other Gulf States, Horseradish can be planted in the Fall and grown over the Winter, with harvest in mid Spring before the Summer heat sets in. 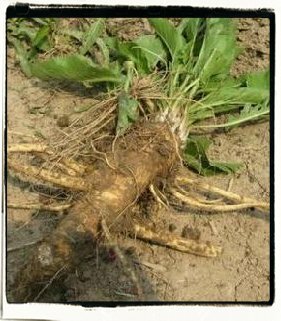 Horseradish is a heavy feeder and studies have shown that the crop grows best in soil that has been well amended before planting rather than having the crop fertilized during its growth. 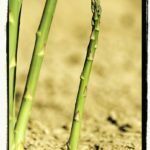 Commercial growers may lift the roots during the growing season and trim off the side rootlets and replant to create a larger single root, but this is not done by most home gardeners. Strong diuretic and diaphoretic (inducing perspiration). Promotes urine flow and sweating, removing fluids and toxins from the body. Removal of excess fluids can help lymphatic congestion, pericarditis (fluid around the heart) and general edema (accumulation of fluids in tissues that produce swelling. Helps flush impurities and small stones from kidneys, bladder, including uric acid. Uric Acid build up is responsible for gout and possibly arthritis and rheumatism. Increases urine flow which can, along with its antibacterial qualities, alleviate urinary and bladder infections. In Germany, Horseradish is approved as an add on treatment to prescription drugs for relieving symptoms of bladder infections. It is believed the chemicals in Horseradish concentrate in the bladder. They may be activate certain enzymes that help keep toxins- including carcinogens, from accumulating in the bladder. Expectorant – helps break up chest congestion, eliminate mucus and waste fluids from respiratory tract. Helps alleviate bronchitis, emphysema, persistent coughs, dry cough, whooping cough and symptoms in influenza. Clears Sinus – because of it pungency, Horseradish can clear sinuses and bring tears to the eyes. While draining sinuses and lungs, antibacterial properties help inhibit sinus infection and lung infection. Stomach Tonic – strengthens and tones the function of the stomach and improve digestion. Acts as a cholagogue- a substance that stimulates bile production in the gall bladder, helping to digest fatty foods. Helps relieve indigestion, colitis, poor appetite and flatulence. 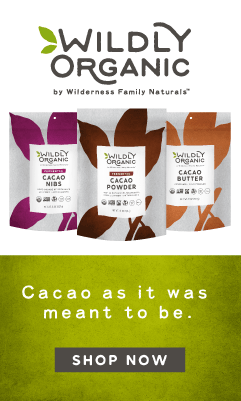 Mild Laxative – eases gastrointestinal problems by speeding food through the digestive system. Antibacterial and antiseptic qualities further help protect intestinal tract. 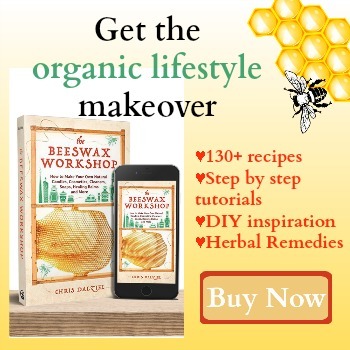 Can help expel intestinal worms from intestines. Internally – warms and improve peripheral blood circulation, bringing blood to the extremities. Externally – also stimulates circulation and as a topical anti-inflammatory, it reduces inflammation. It is a rubefacient herb, bringing blood to the skin. Effective in poultices and as a massage oil. Relieves muscle aches, arthritic and rheumatic joints. As external rub, it is used to break up chest congestion and ease pleurisy. Contains high Vitamin C and has been used to prevent scurvy. One of the common names for Horseradish is Scurvy Grass! Most of us are familiar with commercially prepared Horseradish Sauce. 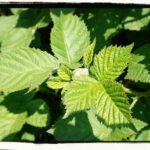 It is used with many dishes as a condiment. Its uses are many: roast beef, sauces, mixed with mayonnaise as a spread, mixed with catsup and a little lemon for a seafood dipping sauce or cocktail sauce for shrimp. Fresh oysters are often served with prepared Horseradish on the side. And, to me, a pastrami sandwich isn’t complete without Horseradish. If you grow your own or purchase a fresh root, the preparation is easy. Scrape the skin off the root and then grate the root. Be sure there is plenty of ventilation for you, because Horseradish is very strong. Again.. think onions on steroids! For each cup of grated root, add a cup white, rice or other light vinegar and a little salt to taste. Store in a tightly closed container in the refrigerator or up to several months. Red Horseradish is made by adding grated raw beets or mustard may also be added. You can freeze the grated root for several months as well to make a fresh sauce when needed. 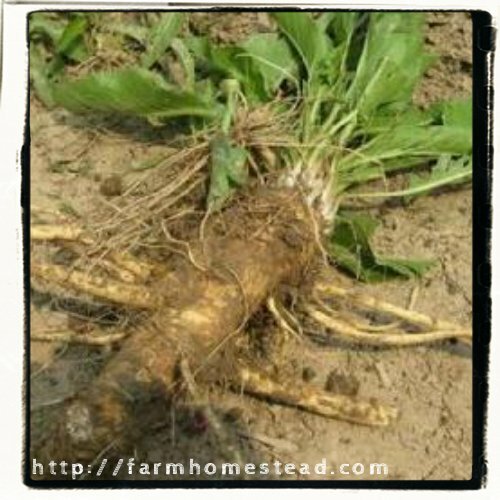 Although not done much in the US, Horseradish root can be cooked as a root vegetable. The oils that cause the heat are destroyed and it loses it hotness to become rather earthy, nutty and sweet, although some pungency remains. Try adding it to winter vegetable soups and stews. It can also be baked with other root vegetables or winter squash in casseroles. I have tried in the past to grow Horseradish in my Texas garden with no success. However, the Aggie Horticulture website says it can be and is grown here. So, I am determined to try it again with my new knowledge of it needs and growing conditions. 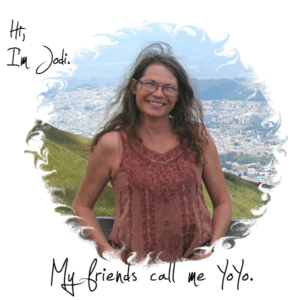 Cindy Meredith, runs The Herb Cottage, a rural nursery in Lavaca County, TX with a focus on herb plants of all kinds, seasonal vegetable seedlings and a great and varied selection of succulents and cacti. They are one of only a handful of nurseries selling Olive Trees in the area.